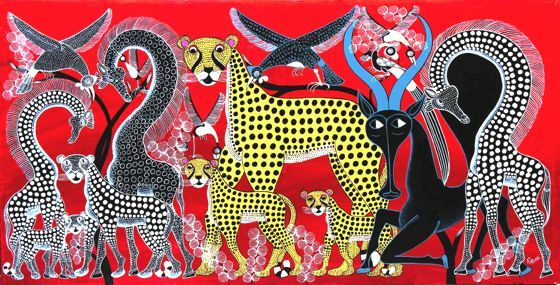 The tinga-tinga is a pictorial style typical of Tanzania, developed in the second half of the twentieth century in ​​Dar es Salaam, from Oyster Bay. 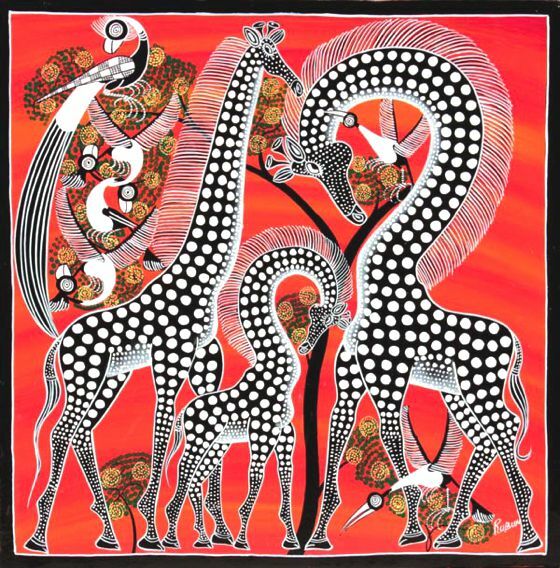 It takes its name from its founder, Edward Said Tingatinga. 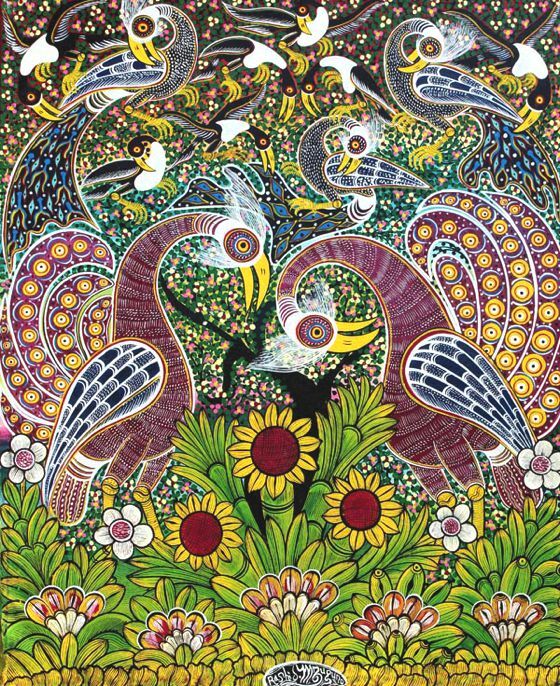 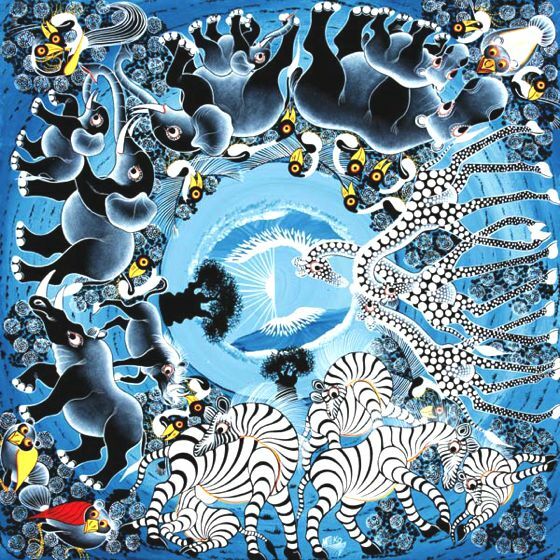 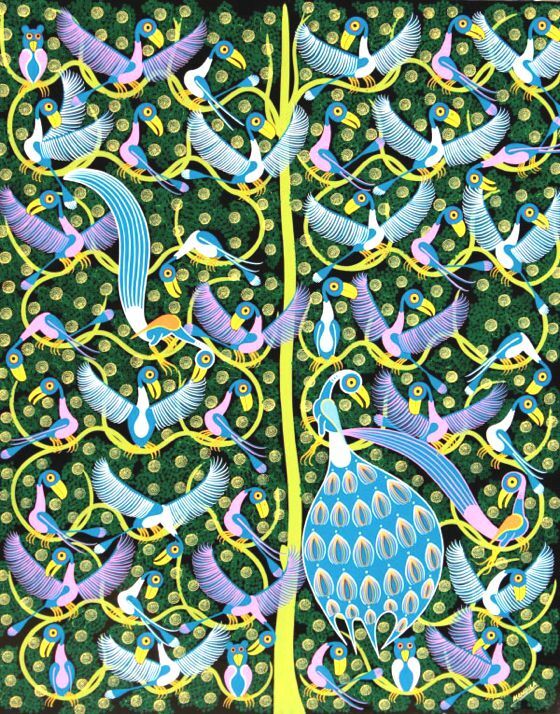 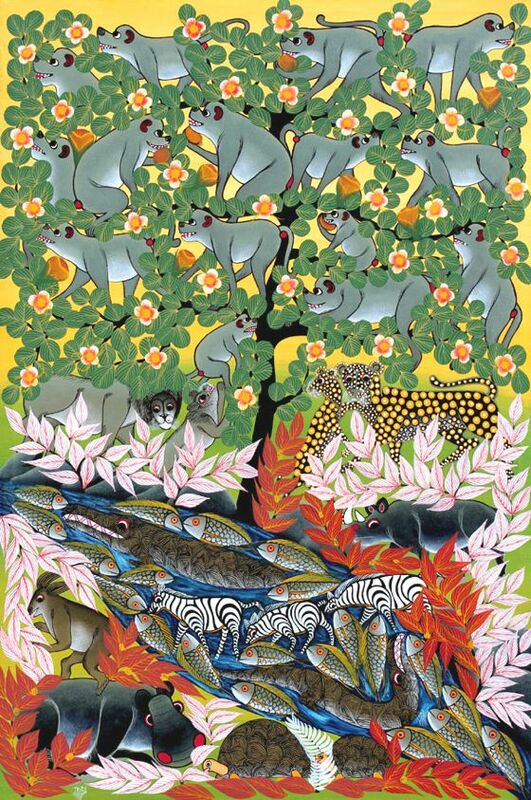 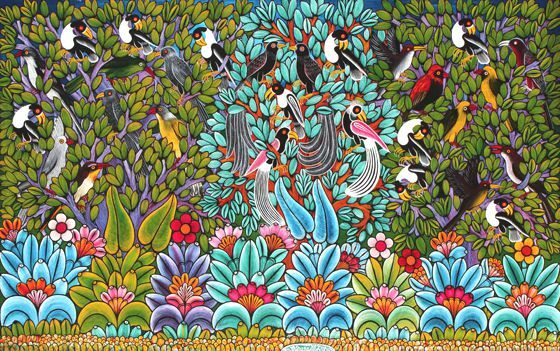 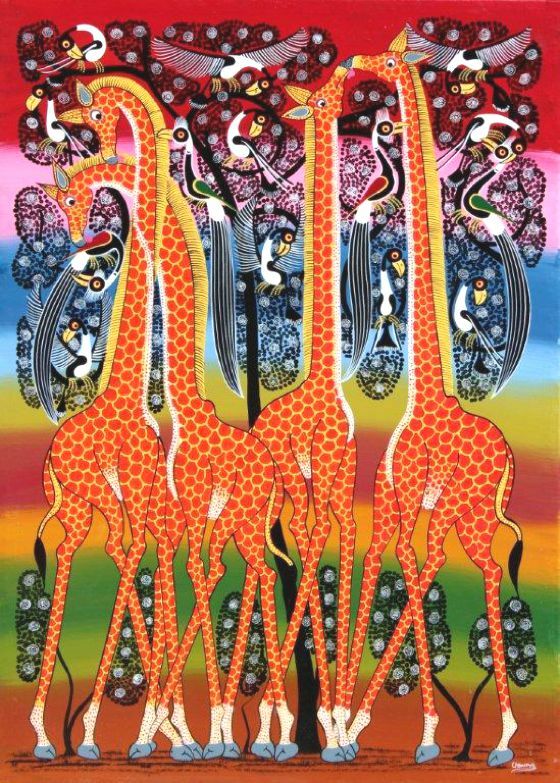 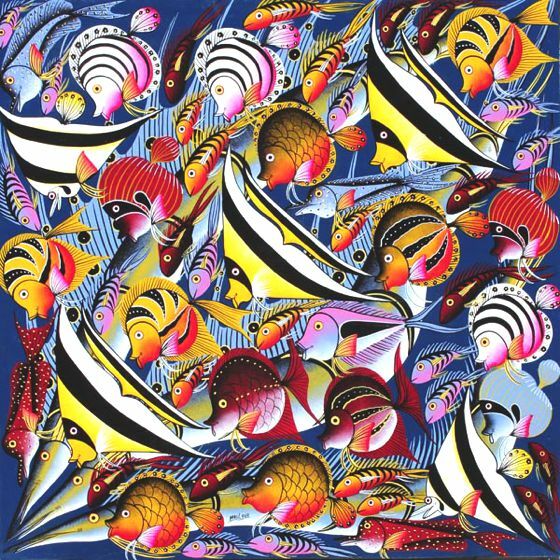 The first artist's generations of tingatinga school substantially reproduced the founder style, in the nineties has seen new trends, response to the transformation of Tanzanian society. 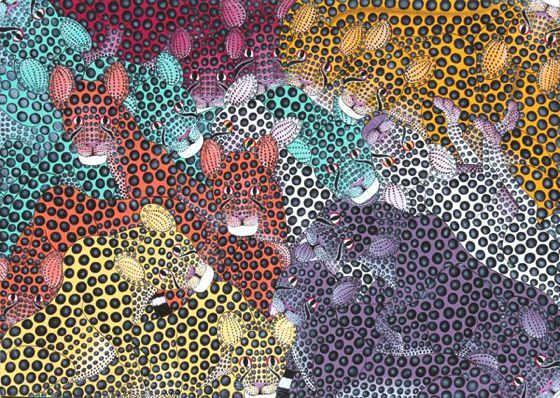 The traditional support for the tinga-tinga paintings is the masonite, typically elements of square shape and small size. 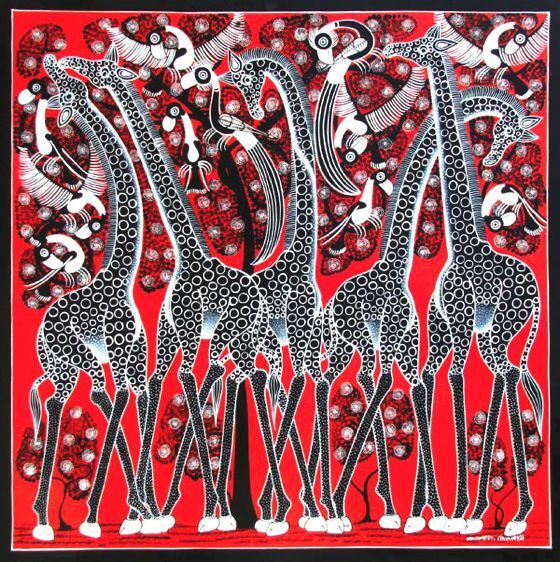 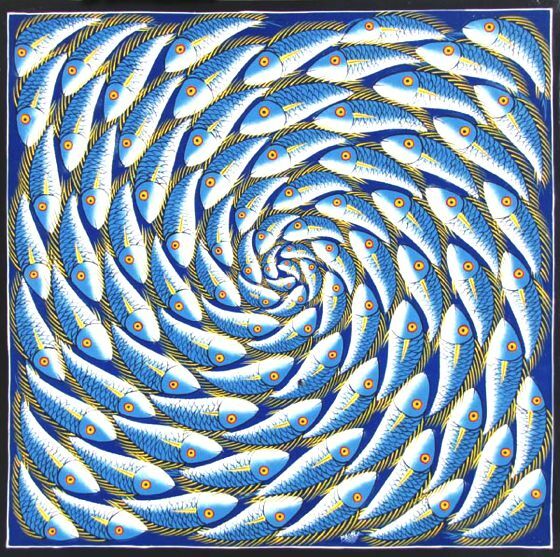 The designs are made by layers of enamel paint (originally paint for bicycles) undiluted, which gives the design a characteristic lucidity and very sharp boundaries, almost in relief. 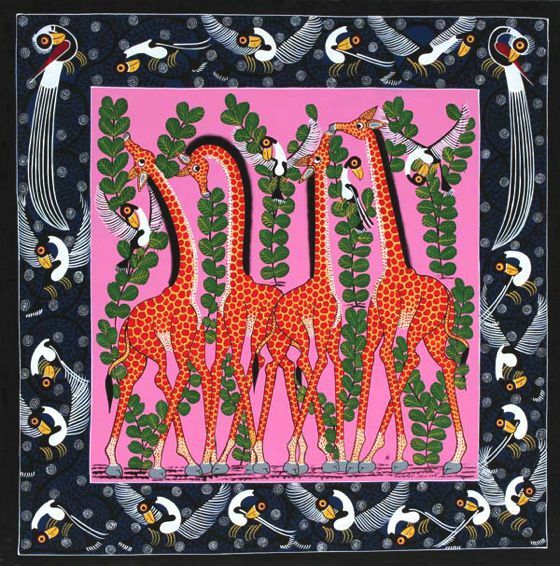 The subjects are often stylized animals or other animal motifs, represented with an exaggerated use of patterns.